You might have planned and managed a corporate event before this, but anybody can benefit from knowing and applying the right steps to ensuring that their event is a success. After all, corporate events are actually great opportunities for promoting a product and also fostering community. Getting the Right Budget Anything and everything can be negotiated on, but this isn’t the time to start a haggling war. To ensure that you stick to a reasonable budget, it’s always better to err on the side of underestimating instead of the opposite. This is a really useful tip when it comes to allocating your resources, because it’s actually really easy to overstep your previous estimates if you’re not careful. Decide the Goals For any event that you’re planning, be it a personal or corporate one, it’s essential to establish the objective(s) before getting into the planning stage. Just remember that the focus will always be on your attendees, so do keep in mind that your corporate event will need to fit their expectations. One thing you can do to help ensure that you don’t stray from the objective is to get a checklist in place that you can always refer back to. Selective Invitations For most corporate events, you wouldn’t want just anyone to walk in. You’ll need to establish if your intention is to entertain, attain, or retain people. After that, it really boils down to deciding who falls into the criteria you’ve set for your event. In order for any event to truly be successful, you’ll need to invite the right target market in order to deliver the most positive impact. Confirm and Reconfirm Have you ever looked at a food bill and been shocked by the amount staring you in the face? 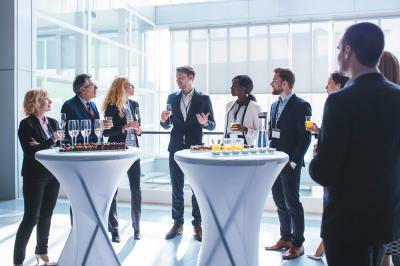 Well, it can easily happen again with a corporate event, so one of the best things you can do to prevent this is to follow-up constantly with any changes and to settle payments as early on as possible. Another thing that you’ll want to make a habit of is keeping black and white copies of any conversation or transaction to ensure that everything is in order. Plan Something Special Last of all, for that special twist that everyone can anticipate, consider providing your guests with something they’re bound to love and enjoy. One good way to impress them is to get them seated in one of our luxurious Destin, Florida vehicles. You will never go wrong when choosing our Destin limo service for your corporate event. Our experienced chauffeurs are definitely up to the task of transporting large groups of people as well as your V.I.P. guests, so rest assured that we can always be depended upon to provide the best service. At 654LIMO, we offer seamless limo service Destin FL residents and tourists can rely on. Our commitment to provide traveling executive with a first-class experience, top-notch management, professional chauffeurs, and an exceptional fleet is unsurpassed throughout Northwest Florida. We’ll love to hear from you, so don’t hesitate to give us a call or book our services online to start enjoying your time with us today!